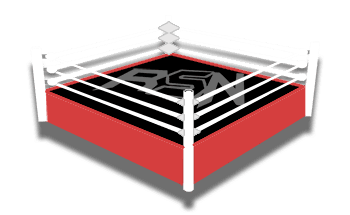 Welcome to Ringside News’ live coverage of Raw for December 3rd, 2018. So please keep checking back and tell your friends, family, and neighbors you don’t even care for. You can keep refreshing the page throughout the show because we will be updating it throughout the live broadcast. Tonight’s show emanates from Houston Texas, and hopefully, we have a new show in store for us that will be worlds better than last week. Baron Corbin spoke to Booker T and he promised that something fresh is coming. So only time will tell what will happen to pull that promise off. But we can be hopefully that WWE will have a packed show in store for fans to capture our interest for TLC on December 16th and on to the Royal Rumble even in January. So far, we know about a few things that await us like Ronda Rousey and Natalya facing Nia Jax and Tamina Snuka. Of course, Rousey and Jax are scheduled to face each other at the TLC pay-per-view, but you never know how WWE might try to switch things up on the way to the San Jose event. Alexa Bliss is also settling into her new role as an authority figure on RAW which should be interesting as she commands the female side of the roster. Corbin said if she looks good, then it will make him look good and he needs to look as good as possible on the way to TLC where he hopes to become the full-time General Manager of Raw. We are also bound to see more from Dean Ambrose and Seth Rollins as The Lunatic Fringe promised to be in Houston as well. Raw started off this week with a 10-bell salute for George H W Bush. Ronda Rousey kicked off the actual show this week and came out with all smiles. The Riott Squad came down and had a table with them. This caused the heels to jump Ronda and Nattie before the bell. They assaulted the babyfaces and soon ganged up on Rousey who took a shot into the steel ring steps. The Riott Squad ganged up on Nattie and beat her down on the other side of the ring. Liv and Sarah set up the table and just smiled at each other as Rousey tried to crawl to them, but Nia and Tamina stopped her. Then Nattie took a double powerbomb through the at ringside thanks to Liv and Sarah. Yeah, this match isn’t happening. The Riott Squad just walked off while Nattie rolled around in pain and sold the table bump as Rousey tended to her. It looks like Nia and Tamina just kind of stopped harassing Rousey after the table spot? Natalya and Rousey were backstage and Nattie was still selling her injuries. Ronda wanted some help and then the medics went to look at her as Rousey just looked off camera looking as angry as she could. Alexa Bliss walked to the ring as the Head Of The Women’s Division and she said that she’s going to work hard every week to give everyone the best Women’s Division Raw has to offer. Then she wanted to do another “Open Forum” with Sasha and Bayley because the one last week apparently wasn’t enough. Then she invited Banks and Bayley to the ring. Alexa apologized for last week when they got jumped. Then she asked for their first question from an obvious plant in the crowd asking about the comments on social media where Sasha is using Bayley. Banks made some crack about stabbing Bayley in the back and called out Corey Graves for some reason. Then she said that Bayley and her are best friends for life. Another plant got to ask if they could have a match with any female Superstar from any era, who would it be? Both Bayley and Sasha said Trish and Lita at Mania. Another obvious plant asked what superpower they would have. Bayley would make things disappear and she would start with Alexa Bliss. They treated that like a huge burn and Bayley ran around her chair. Banks didn’t answer that one, she just agreed with her. Bliss said that she took Banks’ title “but that’s fine.” Another plant asked about changes to the Raw Women’s Division in 2019 like it’s Banks and Bayley’s call. Then Bayley said they wanted to be the first-ever WWE Women’s Tag Team Champions. This didn’t get the pop it should have.